The story of Bahadur Shah Zafar and Rani Karnawati is the most appealing detail of the significance of Rakhi in the Hindu tradition. The importance of the thread of Rakhi as understood by the Mughal emperor, Humayun is really praiseworthy. The thread of Rakhi is fascinating to both brothers and sisters. They know that they are tied to each other in the band of love and protection. So, let us together unfurl the story of Bahadur Shah Zafar and Rani Karnawati. 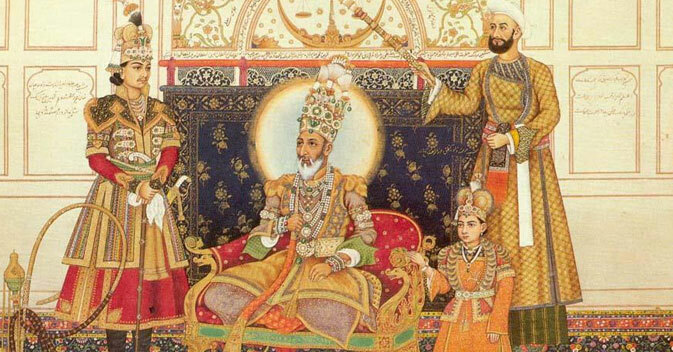 The legend of Bahadur Shah Zafar and Rani Karnawati is really interesting. When the king of Gujarat, Bahadur Shah Zafar decided to attack Chittor and annex the land, its Queen, Karnawati became very scared and worried. She knew that single handedly she would not be able to save the honor of the women of the kingdom. She then decided to send a thread of Rakhi to the emperor of Agra, Humayun. She wanted the help of the Mughal emperor in order to safeguard herself, the rest of the womenfolk and her kingdom from getting invaded. She had sent the Rakhi with a horse-rider. At once, Humayun understood the significance of the Indian Rakhi dazzling with love and honor. He was immensely moved by the sisterly affection and immediately set out to help her with his army. However, he was a little late and he found the burning pyres of the Rani Karnawati as well thousands of other women. They had all committed ‘gauhar’. Like Humayun, all the Indian brothers know the importance of Raksha Bandhan in their lives. Each one of them vows to protect his sister for the rest of his life. Thus, we see that different legendary stories reinforce and strengthen the faith in the sacred thread. It also supports the relationship of siblings and makes it stronger. So, let us all celebrate the upcoming festival of Raksha Bandhan that is on 15th August 2019. sendrakhi.com offers you motivating story of Bahadur Shah Zafar and Rani Karnawati. For more related information, keep browsing the pages of the website.